I shall write proper info with the next three-five hours. Yay, someone started the thread, danke! Perhaps we should invite Sakuraangel on our show! Be looking for your next update, I have quite a bit I can add in too! Though I learned, don't tell them your life story, this is what happened when I started to. 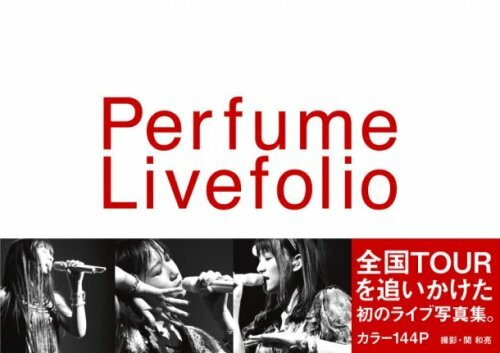 Yay, Perfume ! I don't listened to them a lot in the last time, but I still like some of their songs. Supposed to be the theme song from Liar Game 2, Nakata once again wrote it, at first it was supposed to come out on 11/18, don't know why it was switched. I think as a bonus, anyone who posts in this thread should be rewarded with some of these yummy treats, courtesy of Sakuraangel. BUT...WE still have the broadcast of the tour! Most of their PVs are in the download section, here's something that isn't, them appearing on the show Welcome to the Hotel Chelsea, it's about 8+ minutes long, subbed in English! Been TOO QUIET here, grrrr, where are you all? Has any seen any of their HAPPY! shows? Bit corny, but entertaining, have a couple of episodes if you want them uploaded. Anyway, I really like this group ! They are entertaining and funny ! It's just me or A-chan is becoming more pretty than before ? I found her "ok" before, but now she's pretty cute to my mind lol ! Can't wait to see Yokohama Arena show ! Especially Night flight and Edge ! Agree with you about A-Chan, here's a real recent pic, she is looking better than ever. Yeah !And in the little animation under ur msg, she is looking great ! You're right about that, she seems like she's the most interesting, seemed as though she was the one to ask the most questions and engage in talking on the HAPPY show. Haha ! I saw the video with the : "BE CAREFUL WITH THE 15,000 YENS TOMATOES BOTTLE" xD ! It was a funny one (and i learned Kashi' doesn't like tomatoes ^^) ! Anyway, yeah, she seems the most interesting, but the others are as well ! There are differents ! When is the broadcast ? 26th december ?? I'm pretty sure they'll cut some part of the show to keep secret the whole DVD ! Has any seen any of their HAPPY! shows? Bit corny, but entertaining, have a couple of episodes if you want them uploaded. thanks for the Chelsea Hotel thingy video. and i agree about "Black Light", i like the sound of that title. too bad, we'll have to wait a bit longer. Yeah, I got some others besides those three, forget how many but they're all mixed, no episode order, luckily with shows like that it's not as important to understand all they are saying, I catch some, it's more of a vusual show, at only 12 minutes long no time for interviews and such, sometimes it's more enjoyable with no subs on these kind of shows. Yeah, Kashi doesn't like tomatoes or any vegetables! Grrrr, didn't listen to her mother! Who saw their last DVD ?